Description: Sean Connery returns for his fourth film as James Bond is sent to the Bahamas to investigate the theft of two nuclear bombs from NATO. Despite the massive scale of the film, Connery manages to make Bond fit in perfectly. Description: Maryse Guy Mitsouko portrays Bond's French contact during the teaser sequence. 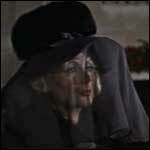 She is with him at Jacques Boitier's funeral and later helps him escape Boitier's mansion. 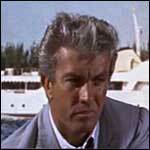 Description: Jacques Boitier is an old foe of Bond's who fakes his own death. 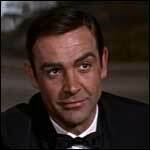 Bond realizes that it is a hoax, follows Boitier home and kills him. 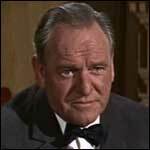 Interestingly, the actor who plays him, Bob Simmons, is a long time stuntman on the films and was the man in the gunbarrel opening through Goldfinger. Description: Number 2 in command of SPECTRE, Largo is the man directly responsible for organizing the plan to steal nuclear weapons from NATO and then blackmail them. Description: Blofeld is only seen during the SPECTRE meeting in France where he kills the agent who has been stealing from him. 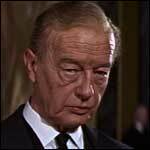 Description: In an act of ruthlessness, Blofeld kills this man who has been stealing from SPECTRE. 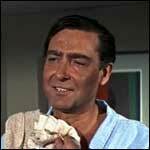 Description: Bond's physical therapist at the Shrublands health clinic, Nurse Fearing winds up yet another victim of Bond's charm. Description: Count Lippe is the SPECTRE agent tasked with getting a plastic surgery-aided double of Francois Derval onto a nuclear-equipped NATO bomber. 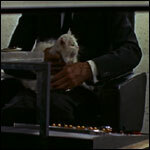 He also engages in an unsuccessful game of cat and mouse with Bond at Shrublands. Description: Fiona is SPECTRE's beautiful redhead assassin and Largo's henchman. Over the course of the film she is responsible for killing Count Lippe, kidnapping Paula Caplan, deceiving Francois Derval and trying to capture Bond. 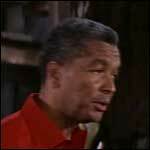 Description: Major Derval is Domino's brother, and an unwitting pawn in SPECTRE's scheme. 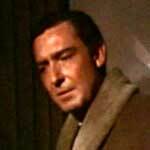 He is killed and replaced by a double who then steals the Vulcan bomber with the two nuclear weapons onboard. Description: This man is a SPECTRE agent working at Shrublands. 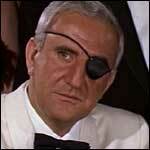 When Bond finds the dead Major Derval, he is attacked by this man. Description: Kutze is a Polish nuclear expert who is working for SPECTRE to maintain the stolen nuclear weapons and prepare them for possible use. 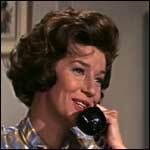 Description: Moneypenny is first seen when Bond calls her to learn more about Count Lippe's Tong symbol tattoo. Later, when Bond returns to MI6, she has her usual scene with Bond in M's front office. Description: In addition to the traditional scene in his office, M also is in charge of a debriefing of the entire 00-section. 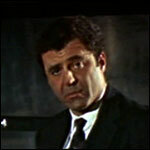 Description: Roland Culver plays the British Home Secretary during the 00-section debriefing and later when the heads of staff are deciding their next move. 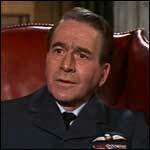 Description: Sir John, the Air Vice Marshall, is by M's side for the entire film. 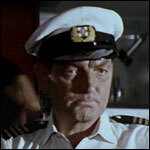 He is there both for the 00-section debriefing, Bond's private conference and all future decision making. 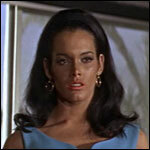 Description: Domino, Bond's primary love interest for the film, is the sister of Major Derval and Largo's mistress. After joining forces with Bond, it is Domino who eventually kills Largo. 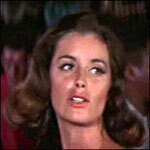 Description: Paula Caplan is one of Bond's assistants in Nassau. She first helps him make contact with Domino as well as throughout the first half of the film. Unfortunately, as is often the case with Bond's allies, she is killed in the line of duty. 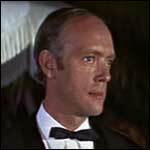 Description: One of Largo's henchmen, Quist bumbles an assassination attempt on Bond in 007's hotel room in Nassau. Largo punishes him by feeding Quist to the sharks. 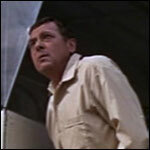 Description: Felix Leiter once again comes to Bond's aid, especially with his investigation of the Disco Volante and the discovery of the hidden Vulcan bomber. Description: A lean, sullen SPECTRE assassin, Vargas is a passionless man who doesn't drink, doesn't smoke and doesn't make love: just kill. 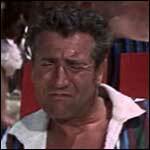 Bond disposes of him on Love Beach with a well-aimed shot from his spear gun. 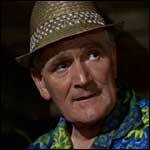 Description: Pinder is one of Bond's Nassau contacts who helps him in his investigation. 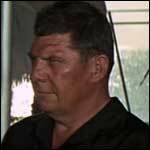 Description: For the first time, Q is seen out of the office when he equips Bond in the field in Nassau. He equips Bond with his usual assortment of gadgets and life-saving devices. Description: A tough SPECTRE henchman, Janni works closely with Vargas. Description: Bond picks this woman to dance with at the Kiss Kiss Club when he is trying to escape from Fiona. 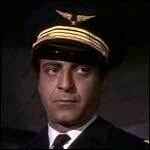 Description: Harold Sanderson plays the captain of the Disco Volante.